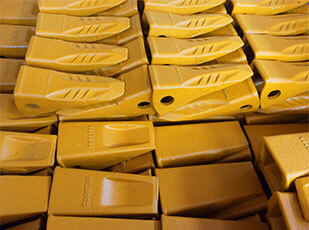 Excavator bucket teeth is an important part of the excavator. It is similar to the human teeth,which is composed of tooth seat and tooth tip combination of bucket teeth, both connected with the pin. As the bucket teeth wear off part of the tooth tip, as long as the replacement of the tip can be ok. Bucket teeth of the process: sand casting, precision casting, forging casting.